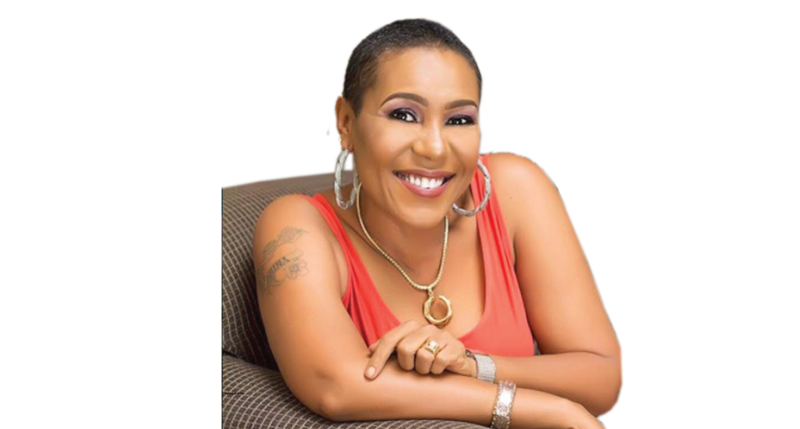 One of the dashing young women writing the new story of Nollywood many years back, Shan George, is today one of the veterans in the business. Holding a private screening of her new movie, Grey Shadows, recently, is an indication the actress and producer remains active on the turf. She speaks to ADEDAYO ODULAJA on her coming into the industry, recent projects and sundry issues. You recently held a private screening for Grey Shadows, your new movie. How long did it take you to complete the movie? We have been working on it for the past four months as regards planning, editing and finally holding the private screening. It is due for a run at the cinemas soon. The movie itself is a one-day flick on account of the story but it took us roughly two weeks to shoot. It was shot in Calabar and beside some of the issues we had with keeping to location time, we also had to confront the shenanigans of area boys on the movie set. At some point, they damaged some of the equipment and even disrupted the entire shoot at other times. We had to settle them every now and again. All that would not come into place if we had a film village, the place would be so secure and equipped that we could do our movies without harassment and life would be much better. The time spent searching for location, moving equipment and confronting such issues would have been put to better use. Are you excited by Minister of Information and Culture, Lai Mohammed’s recent announcement of government’s plan to build a film studio in all the geo-political zones as well as 100 cinema houses? That would be fantastic. At the moment, we need two things: the market and a film village. Until we get a film village we will keep suffering at the hands of area boys. Does it mean you have been somewhat idle since producing Finding Goodluck and One Good Man? I was in the middle of Finding Goodluck when my mother took ill and I had to abandon the movie industry to take care of my mother. I am an only child and I was too heartbroken to focus on any work. I have been doing that since then and I went over to stay in Calabar with her after she was discharged. So, for a period of six years I didn’t do anything. Until recently when I shot the movie, Ayade, a true life story of the present governor of Cross River State which went online a few weeks ago. We didn’t screen the movie, it was declined in the cinemas as well as on Cable TV because it was shot in the governor’s native language, although with subtitles. Nevertheless, I believe that Ayade is one of the best movies I have produced. It is on Youtube so anyone can watch it. You said the movie was sponsored by the present governor of Cross River State? Yes, the state government sponsored it as the governor told the story himself. And he gave me the task to make the movie. We did some research, even though there were some plus and minus incidents in the eventual movie. It was merely a matter of garnishing it but the movie is largely a true life story of the governor. With Finding Goodluck and One Good Man premiered in 2014 in 2016 respectively, have you really been away for that long? Finding Goodluck was shot in 2011 but it was in the cupboard until 2014 when Mrs. Elliot (Desmond Eliot’s wife who is a marketer) helped to release it to the public. And I shot and premiered One Good Man in 2016 when my mother’s health started improving. What is its thematic essence of your new movie, Grey Shadows? It’s a movie that depicts that critical point where there is a clash between humanity and religion. Let’ say you wanted to use a certain amount of money (N10, 000 for instance) to pay your tithe and you see someone who has been hit by a car. So, after you help this person to the hospital, where you think your obligation ends and then the hospital demands some money which your tithe can help offset, what would you do? Do you use the money to pay for this person’s hospital bill or pay your tithe? This is the premise on which the film is built. It also talks about the healthcare condition in Nigeria and its practitioners. Basically, Grey Shadows is a dagger point, a crossroads of religion and common-sense and it’s garnished with a rich dose of comedy. What inspired the decision to invest in the movie? Because I have a message which I think will impact the society positively. I am someone who also believes that money is not everything. As long as the message would be able to correct some norms and ills that pervade our health sector, I am all for it. Past films of mine like Finding Goodluck and One Good Man are rooted in real life scenarios. So can one say there is a story behind Grey Shadows as well? Grey Shadows is about a problem that affects us but which we do not take notice of. Unless you have never been hospitalised or have a family member who has fallen ill and was taken to a Nigerian hospital, then you wouldn’t relate with Grey Shadows. This is a story that came out of my personal experience at the hospital where I was with my mother who was bedridden for six years. While in the hospital I encountered a lot of ugly incidents that I promised that I would portray in a project as a movie maker. Grey Shadows is the aggregate of those experiences. Beside Kehinde Bankole and yourself, Gifty (Powers) of Big Brother Naija was part of the cast. How would you rate her performance? Gift Powers was fantastic. She literally lit the set any time she was around. She had definitely been acting before Big Brother Naija because her performance was exceptional. On her own, Kehinde brought a lot of depth and craftsmanship into the project and Roxy is another exceptional actor who is part of the project. The entire team delivered the aim of the movie exceptionally. What has kept you going in the movie industry for 20 years? I think it’s the passion. I don’t have money. I have never given anybody the impression that I have made a lot of money in Nollywood. I have produced, written and acted. I have produced over 25 movies. But I am still here because of the love for the craft. It is the freedom the industry gives me to be myself, to write stories and make movies that touch lives, that impact positively on the society like this movie, Grey Shadows, that I find exciting. Was working with the governor of Cross River State likely to land you a political appointment? No. I am no longer that young. Perhaps I would have been more receptive of it if I was about 30 or 40. I can’t learn to handle files at this age. My job is movie production, that is basically all I can do. You don’t ask a good surgeon to do the job of the police. He would have to start learning all over again. Those who take such appointments probably know how to accommodate the career shift. The governor saw me as a movie maker and he called me to do a movie for him. I delivered as promised and I am fine with it. What was your journey into Nollywood like? When I gained admission into the University of Lagos, I didn’t have money to pay my school fees. While I was contemplating how to raise the money, I met a lady called Blessing Orime, who is now Pastor (Mrs.) Blessing Stevens. She used to act in one of those NTA soaps with Regina Askia. I met her in a salon and discovered that we are from the same place. She told me she was going for an audition for a movie to be produced by Emeka Ossai and the late Jennifer Ossai titled Thorns of Rose. I accompanied her to the place. When we got there, Jennifer saw me and was like, “This is Joan. This is our lead character”. That was how I was given the script. I didn’t know what to do but because I needed money for my school fees I had to do it. The truth is I didn’t play the role well because I was nervous all through. Fred Amata was the director while Ejike Asiegbu acted as my husband in the movie. All these were big names in the movie industry so I was star struck. I was also not certain my mother would like it. N20,000 but that was 20 years ago so it was a huge sum back then and I was so excited. What have you been able to build on that foundation? Luckily, I was to study Mass Communication in Unilag. So, I seized the opportunity to major in broadcasting and afterwards I started getting jobs in NTA and I got the ‘Shaky Daddy’ advert.